This is a few examples of a delay in the user control catching/reaction time in Madden 13. FYI this is not a video to bash EA,or Madden 13.This is an attempt to make madden a better game. The demo for NHL 13 is out now for the Xbox 360, and will arrive on the PS3 when the store updates this afternoon. It features a Stanley Cup rematch of New Jersey Devils at Los Angeles Kings, an NHL Moments Live recreation of the Western Conference Finals game 5 with the Kings at Phoenix Coyotes, the opportunity to start up Hockey Ultimate Team, and a free skate mode to get acclimated to the new “True Performance Skating”.Please Leave Your Thoughts,And Comments.Thank You. 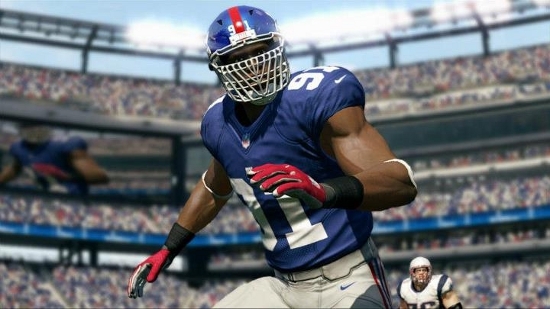 As long anticipated the demo for Madden NFL 13 is set to arrive on Tuesday, August 14. The demo will feature two different match-ups with each being an entire game consisting of four five minute quarters with adjustable difficulty levels. A rematch of the excellent NFC Championship game with the Super Bowl Champion New York Giants at San Francisco 49ers is one option while the other features two of the more intriguing teams this season with the Seattle Seahawks at Washington Redskins. In addition the Game Face feature is available and will transfer over to the retail version while those with Kinect for Xbox 360 will also get to try out the voice commands. It’s an impressively structured demo and one that demonstrates confidence in the product. Total Control Passing Passing is more important than ever in the realm of collegiate football, and NCAA Football 13 has taken great strides to give users unparalleled control over this element of the game. Total Control Passing allows quarterbacks to lead their receivers into open space, and reconfigured passing trajectories to allow QBs to drop their passes in between layers of coverage without leading receivers out of bounds and while also maintaining a realistic throwing velocity. Read and React Defense Passing isn’t the only revamped element of NCAA Football 13; pass coverage has been overhauled as well. Gone are the days of “Psychic DBs” and “Super Linebackers,” as the new Read & React Defensive AI system requires defenders to see the ball before they make a play on it. This means defenders will react in a much more realistic manner, only making plays on the ball when they actually see it in the air. Now well-executed pump fakes or play action plays are more dangerous than ever, and defenders who lose track of the ball will be hard-pressed to contain their offensive counterparts. 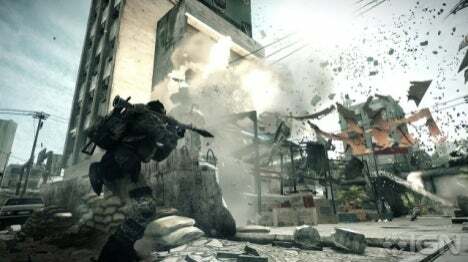 Developer DICE today released a lengthy list of tweaks, bug-fixes, and significant changes coming to Battlefield 3. The update, which has no set release window, applies to the Xbox 360, PlayStation 3, and PC versions. The most notable improvements include instant vehicle kills for unguided artillery rounds, higher damage for long range hits for numerous weapons, and less lethal spawning locations. In addition, players will no longer take damage for short drops, smoke grenades will explode on impact, and suppressors no longer reduce damage when equipped. Like this, but better and stuff. Some fans upset over the problems this update hopes to address recently began a call to arms in the form of Blackout Battlefield. The protesters state EA and DICE “have a very long list of things to work on,” and are calling for websites to shut down and stop covering the game until EA and DICE announce what’s coming. Now they have it. These changes come alongside more than 100 major and minor changes to Battlefield 3’s core multiplayer gameplay, vehicles, weapons, attachments, and UI, and modes. Community Manager Daniel Matros notes that this is an incomplete list of what will be an even larger set of repairs when the update is finally deployed in the near future. For the complete list, check out DICE’s Battlelog blog. Similar to the Matrix and Mr. Smith’s infamous speech about it, hoop games on offense all suffer from some degree of inevitability. The vaunted memory and processing capacity ( yes I am joking) available in the current gen systems is no match for the supercomputer between your ears. So, eventually, users are bound to figure out how to stop a cpu attack. In NBA 2K11 the AI and users were greatly hindered by the cpu’s limitation of 4 plays per player. I mean even the lowliest of basketball IQ’s are going to be able to figure out a play if it is ran repeatedly over the course of a 48 minute game. Even more so if this is a team you happen to play 4 times in a season; then meet them in the playoffs.